Ama-Zing Beach House in Ponta Malongane is situated within the Vista Alta Estate, close to the popular 360º restaurant. With stunning sea views, direct access to the beach which is 100m down the dune and equipped with all the modern conveniences and creature comforts, the luxurious Ama-Zing Beach House is perfect for a leisurely, lazy beach holiday. This new, privately owned two-level home can comfortably accommodate up to 10 guests in 4 spacious bedrooms. Bedroom 1 has a queen size bed and a single bed, Bedroom 2 has a king size bed (which can be separated into 2 twin beds) as well as a three-quarter sleeper couch, Bedrooms 3 & 4 both have queen size beds. All bedrooms have en-suite bathrooms with bath towels provided. The open plan living area is furnished with a flat screen TV with DVD player. Large glass stacking doors open onto a spacious under-cover deck. Ideal for entertaining and alfresco dining, the deck has a spa pool, sun loungers, a boma braai facility and colourful hammocks to fully enjoy an afternoon siesta. The contemporary kitchen has granite counter tops and features an electric oven, gas hob and a double door fridge with filtered water and an ice dispenser. 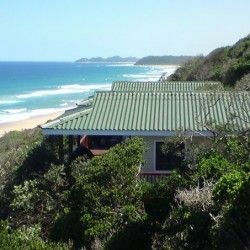 Ama-Zing Beach House is nestled in the coastal milkwood forest which provides protection from the wind as well as a measure of privacy – whilst still allowing amazing sea views from the deck. 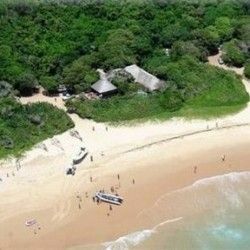 For scuba divers and snorkelling enthusiasts, the Ponta Malongane Dive Resort is a short 20 minute walk northwards along the beach. Loved the house and rooms. Only suggestion is they look at replacing the cutting boards which are in bad shape. We were blown away with everything. Your service ... the lodge service. The Houses was spectacular. We will definitely be back ... not in peak!! Everything was excellent. Will book again soon. It was a wonderful stay! Thank you! I am so glad I went with Ama-Zing Beach House. Great place to stay, enjoyed every moment! Only sad thing was when we had to leave!!!! Water and power went off for more than 12 Hrs otherwise great. Everything was fine, excellent. The service and cleanliness was also great thanks very much.